NextReserve a seat at the HMRC webinar on MTD! Change is coming. Small business financial data has moved out of the shoebox and into connected cloud ecosystems. Driving the change are three forces; Making Tax Digital, Open Banking and a changing consumer preference for online experiences over offline interaction. In this article, Clear Books takes a look at where small business data has been, is now, and how financial management will change by 2020. Yesterday…real-time insights seemed so far away. Small business owners used to write out invoices, keep the carbon copy and bundle them in a shoebox alongside a cacophony of receipts. A drive across town to the accountant and a week long wait ensued while they categorised the debits and credits and created usable management reports that informed business decisions. Right here, right now…small businesses are moving online but those that do are experiencing SaaS subscription overload. Mobile banking is about to overtake online, branch and telephone banking as the channel of choice for consumers. In addition, HMRC are mandating Making Tax Digital (the requirement for businesses to keep their business data online). The result is a mass migration of small businesses from paper or excel-based financial management to SaaS technologies. 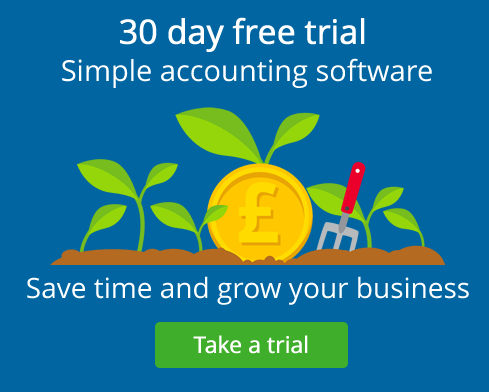 Due to the scale of the migration (over 5.7 million UK businesses) there’s intensifying competition to supply SaaS financial services to small businesses. Yet the innovation hasn’t brought to life the ideal financial experience. Small business data is currently processed through various separate systems (e.g. accounting software and online banking). Providers with strong partner networks provide the option for users to activate product integrations, sharing data between systems. However, very few users know these integrations exist, or how to switch them on. Further, separate subscriptions to each of the various systems means multiple usernames, passwords and billing processes. Hands up if you’ve ever had more passwords left to try than password attempts before lock out! It’s clear that ‘SaaS subscription overload’ has unintentionally arisen as small businesses move away from the shoebox (and the branch) to online services and it’s easy for business owners to get lost in the clutter. So, given most small business owners aren’t financial or IT gurus, what does a future look like where the current jolting multi-system user experience begins to connect, creating seamless online financial experiences? Tomorrow, there will be… seamless integration. Finish a job on-site and update the job status to ‘complete’ in his project management software. Rely on his project management system to recognise job completion as the catalyst for invoice generation, transferring the carpenter to a pre-generated invoice in accounting software. Be sure that the accounting software will notice that cash flow isn’t sufficient to cover the bills payable that month and offer to transfer the carpenter to online banking to arrange invoice finance. This imagined future-state isn’t one where broad sets of financial tools are built in a single user-interface. The expertise, time and investment needed to build multiple specialist functions in one place is prohibitive. Instead, our carpenter’s FinTech experience is a system of connected ‘centres of excellence’ (COE) that interact with each other to form a multi-interface experience. Tomorrow, financial technologies will evolve to negate the need for multiple subscriptions or to repeatedly log in and out of apps. Online banking and online accounting are two centres of transactional and tax excellence that could be seamlessly connected by 2020 to empower small businesses with better control, smarter insights and speed for the user. But how do we connect COEs so that the user obtains better control, smarter insights and speed as they execute independent financial tasks. 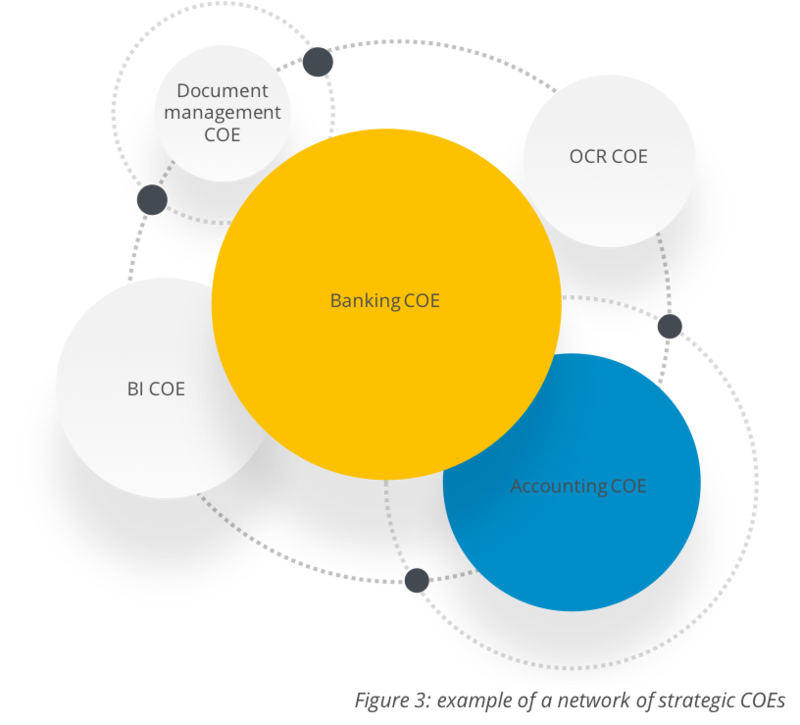 Expanding on the above example, a Banking COE and Accounting COE could create a seamless payroll experience leveraging 2 way data feeds, common authentication frameworks and deep links to each other’s centre. Seamless customer experiences are created when the COEs are connected to streamline user tasks. The greater the number of centres of excellence (you might imagine the payroll process extending to HR or BI COEs), the smoother and more enriched the small business experience of financial technologies will be. The connected centres of excellence model is just one of many iterations of a future in which shared data underlies deeply linked user interfaces. These interconnected systems will make financial management easier to control and faster for small businesses. They also offer an enhanced customer experience. Better control, smarter insights and speed are all features of a small business’s FinTech futures. But what will enable the change? Banks are working fast to comply with new regulations that make customers’ financial data available to be shared with trusted third parties via secure account information service providers (AISPs). Data sharing will enable small businesses to analyse their spending patterns, expenses and complete tasks in their system (or systems) of choice, eliminating blind spots. For example, the user’s bank balance might say there’s available cash, however accounting software could flag that there are bills coming up to be paid within the week. So Open Banking will facilitate data sharing that empowers users with smarter insights (like nudges about upcoming bills). Say goodbye to manual sort code and account number entry. As we approach 2020, more and more technology providers will choose to become payment initiation service providers (PISPs). PISPs can initiate a payment transaction to a supplier on behalf of the customer, and withdraw the money directly from their customer’s chosen account. Enabling non-bank technologies for payments could save small businesses both time and money. Rather than sending an invoice where the customer has to sign in to their online banking account, then copy the payment details across, all before hitting pay, the supplier can have a ‘pay now’ button on the electronic invoice. We are already seeing this in the retail banking space with iMessage and Facebook messenger for P2P payments, and we predict it won’t be long until this trend is open to all businesses. Artificial intelligence (AI) is already offering users a more accessible, intelligent way to manage their money in the personal banking sector. With chatbots like Cleo drawing deep insights from big data, it has never been easier to stay in control. As AI is embraced by small business software and banks alike, the ability to personalise help and advice will radically change, allowing small business owners to make better-informed financial decisions. Financial data will be able to flow freely between the bank, HMRC and FinTech companies, like Clear Books, ensuring the business account is always healthy. For example, if there isn’t going to be enough cash in the account when paying a bill, the AI software would prompt the user to move cash from a savings account. Alternatively, if there aren’t enough funds then the AI would suggest an overdraft at a competitive rate. 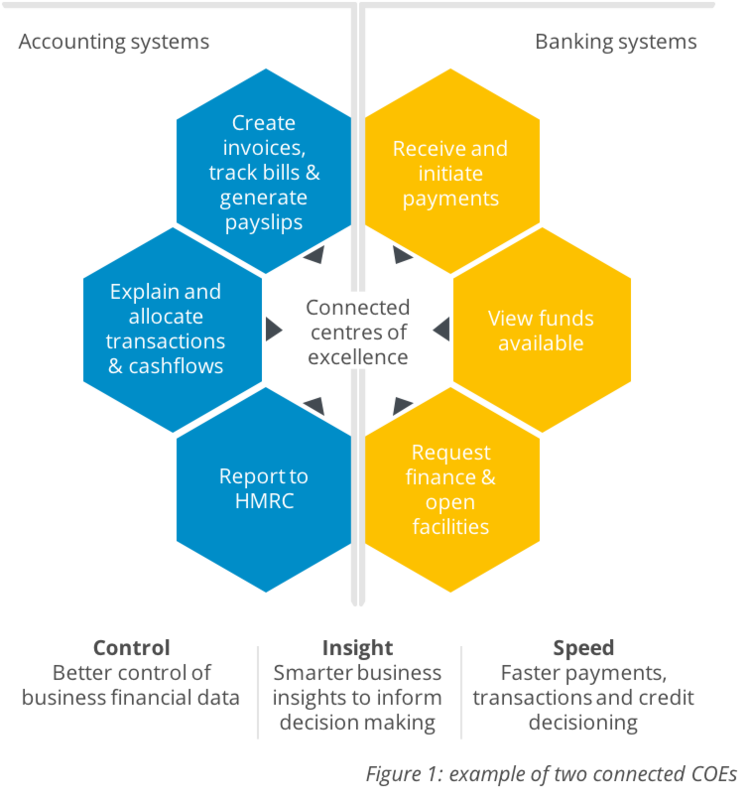 Connected COEs will transform the way financial business data flows – from customer to business, business to suppliers, business to HMRC. Small business owners will be able to use these new technologies to help grow their businesses, rather than waste time worrying about their financial data. Offering better control, smarter insights and increased speed, there has never been a better time for businesses to start exploring the unlimited potential of this new FinTech landscape. Ruth is Clear Books' CEO. She started at Clear Books as General Counsel and Company Secretary dealing with any legal issues within the company. She qualified as a lawyer at Allen & Overy in 2008, and worked at Citi as a Senior In-house Counsel prior to joining Clear Books. In her spare time she is busy looking after the next generation of Clear Books employees (three little boys already showing early promise as FinTech gurus).